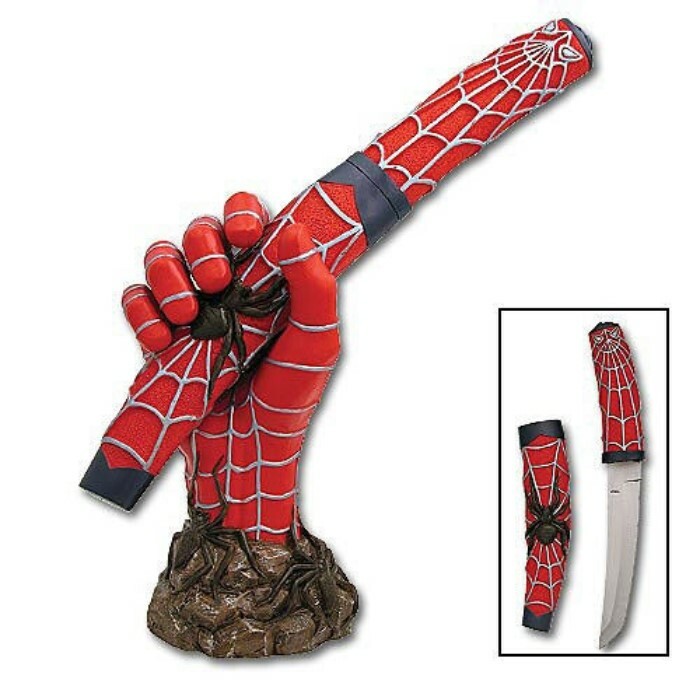 Spiders Fury Tanto Knife | BUDK.com - Knives & Swords At The Lowest Prices! This gripping fantasy piece offers a cleverly designed knife and resin display stand. The knife offers a matching handle, sheath, and gripping hand display accented by a red with silver webbing color scheme. The sheath and display stand are further accented by black spiders. The knife measures 13" overall and features a 6 3/4" razor sharp stainless steel tanto blade. The knife is removable from the display stand for personal carrying. This will be an outstanding focal point to your knife collection! United Cutlery, XL1130.